Between 1860 and 1873 there were major silver strikes at Cerro Gordo and Darwin with minor strikes nearby. 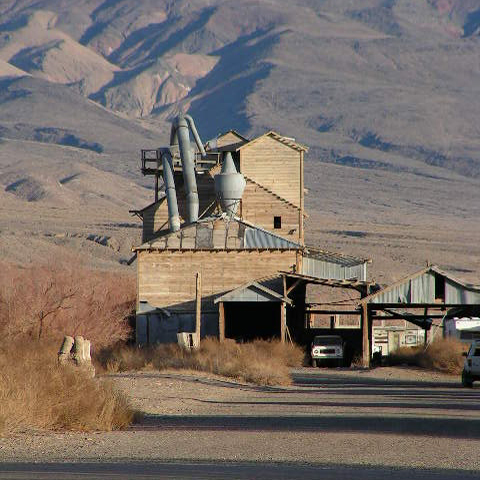 Ore was mined and smelted into ingots and sent to Hawley (later Keeler) and Swansea by tramway and mule train, then across Owens lake by steamer and from there – again by pack animal – to Los Angeles where it financed the boom which ultimately made the city into a metropolis. The Carson & Colorado attempted to capture that traffic but they were too late; the silver ran out. 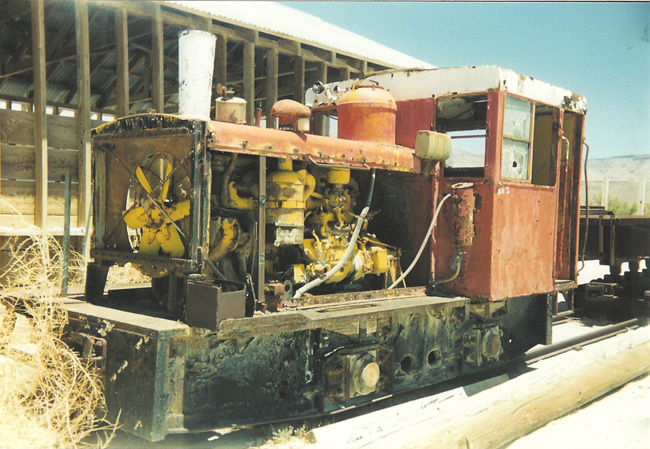 And they made another mistake; they ran narrow gauge to save money…so there were always expenses when they connected with a main line. 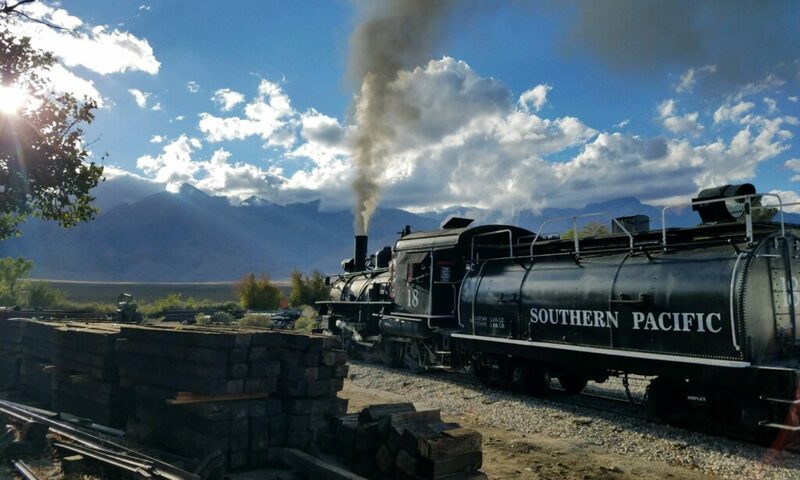 The result was a marginal, money-losing enterprise which the owners gladly sold to Southern Pacific in 1900. 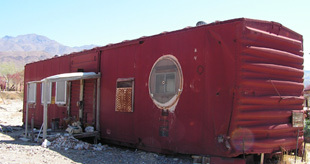 Their timing was bad again; a new strike at Tonopah was announced a few months after the sale. 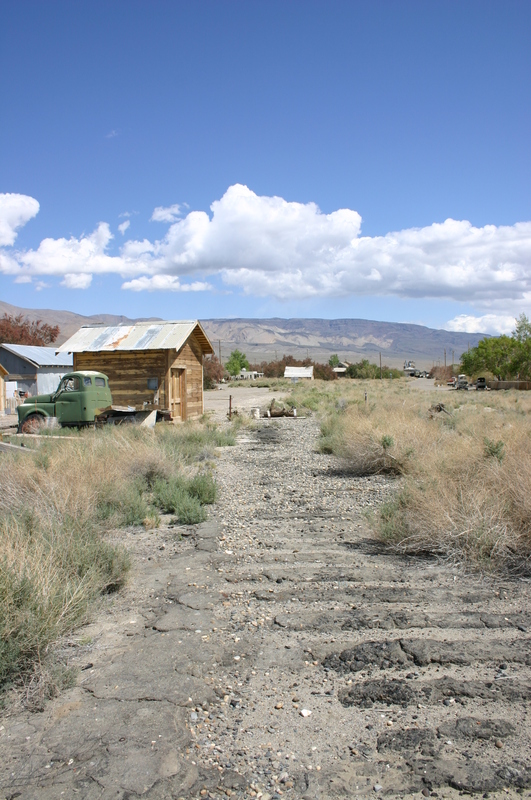 5 years later L.A. began construction of its aqueduct and SP responded by running standard gauge to an Owens Valley junction at Owenyo. Despite this the line was never very profitable but managed to limp on – even though the Depression shut down its northern end in the ’30s – until the mines finally petered out completely in the late ’50s. 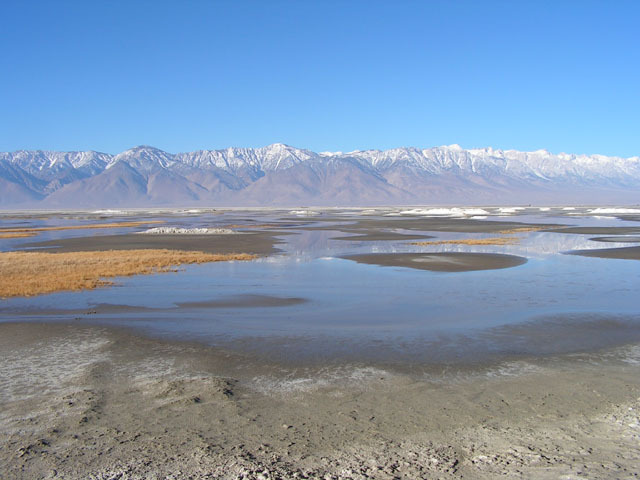 Owens lake – made famous by the movie Chinatown – no longer exists. It was drained to satisfy LA’s unquencheable thirst. What remains is dust and puddles. 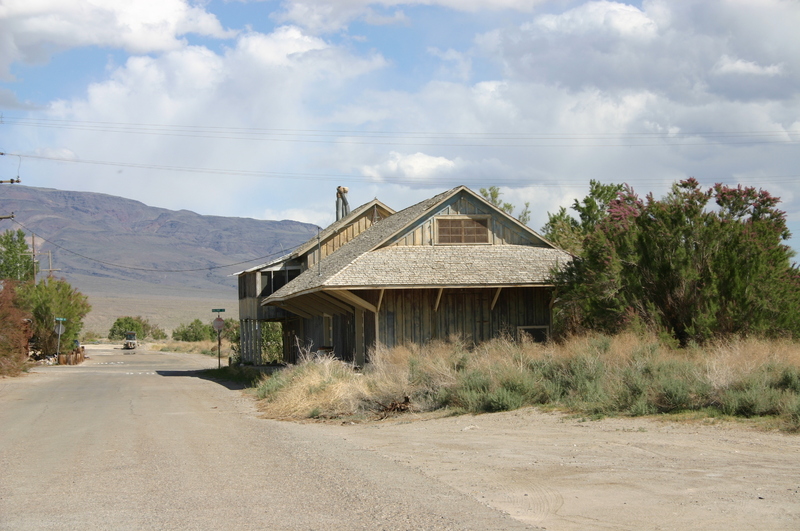 The old Natural Soda Products plant which was responsible for the settling ponds south of Keeler was demolished in 1956 but it starred in the 1942 Alfred Hitchcock movie Saboteur in which it already was a ghost town. New uses for railroad equipment. Creative people in Keeler have converted at least 4 cars to houses. Above is an ancient standard gauge passenger car of an unkown make. At right a more modern standard gauge boxcar is just beginning its rehab. 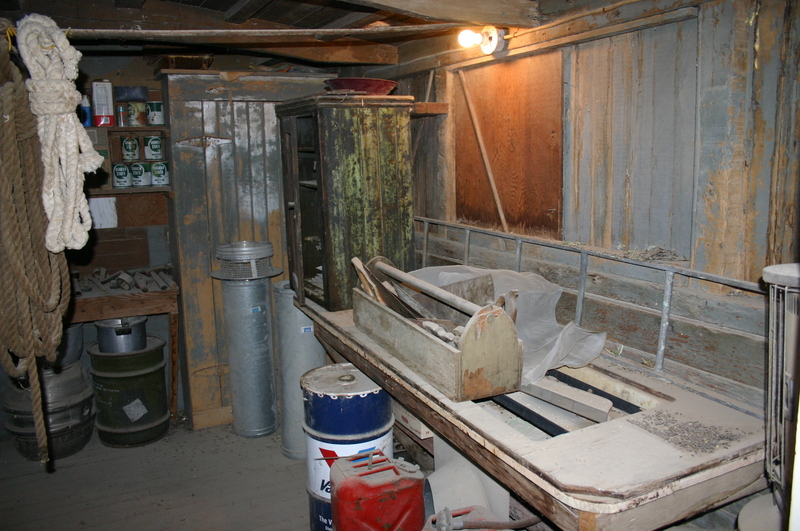 Inside the Keeler “repair shop” in 2008, just like when the railroad left town. 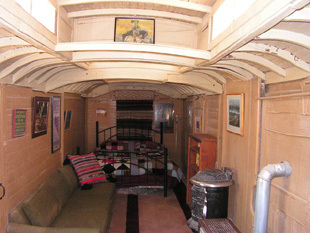 At right is the interior of the old standard gauge wooden boxcar that served as the Keeler “engine house” for many years. 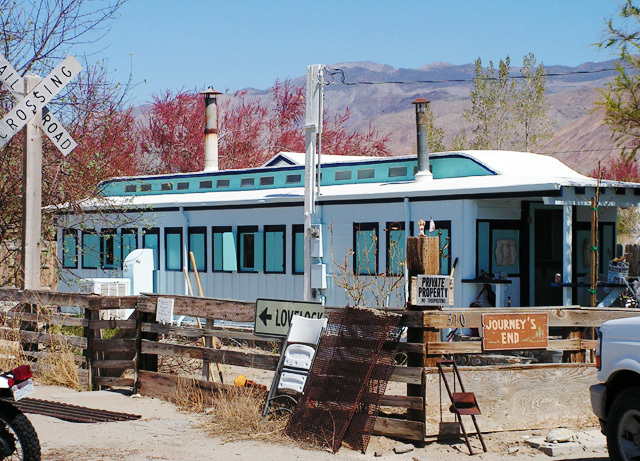 Also former Carson & Colorado narrow gauge combine(below) originally built in 1880 was brought in to town in the 30’s as part of the out door shops. There is also this ancient flat roofed standard gauge mail car, a car like this could date to the 1860’s, but who knows for sure. There’s a lot of other junk that’s been used in very interesting ways…and some that’s interesting just lying around, including an old 3ft. gauge Plymouth diesel (bottom of page). 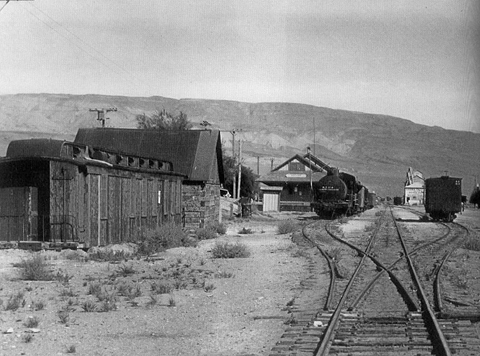 From 1938 until 1954, Keeler also served as the locomotive shops for the narrow gauge. 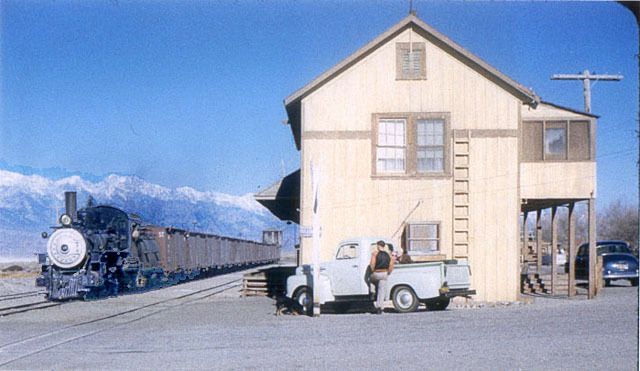 Former C&C car #4 and a standard gauge boxcar served as the facilities. 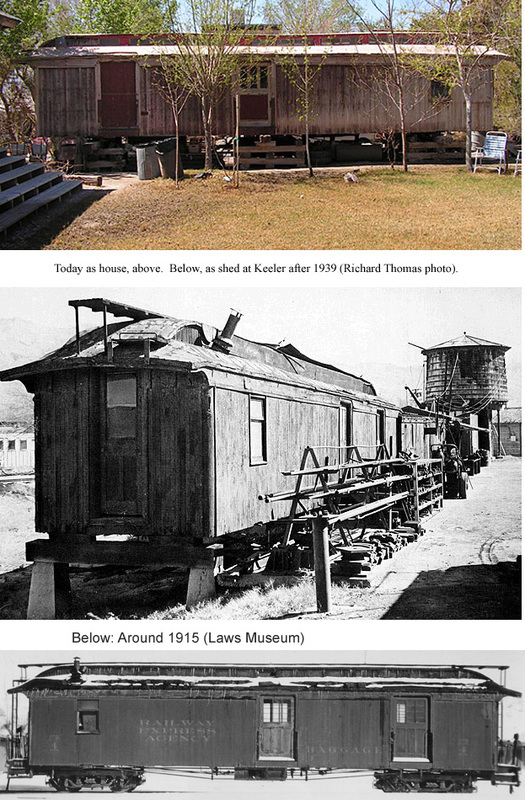 Today the boxcar and inspection pit, along with the speeder shed and crossbucks still serve as reminders of Keeler’s railroad days. In fact the only part of the railroad not still around are the rails and trains. 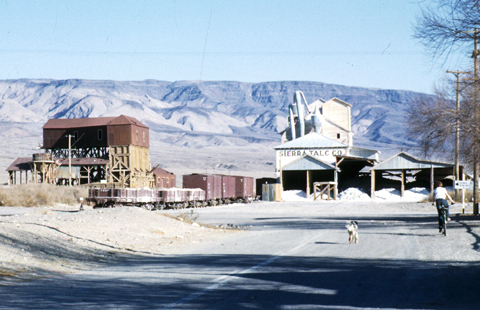 This little Plymouth and dump car probably came from the salt railway out at Saltus, CA in the Mohave.